The Milwaukee Bucks were one of the worst teams in the NBA, but will have an opportunity to rebuild their team through the draft this offseason. Before the season, it seemed the Milwaukee Bucks were poised for a run at a low seeding in the Eastern Conference playoff race. In the offseason, the Bucks added OJ Mayo, Gary Neal and Zaza Pachulia via free agency and traded for Caron Butler, Brandon Knight, Kris Middleton and Luke Ridnour. All of these moves looked to have given Milwaukee a solid core of veterans that could at least be in the mix for the 7-10 position in the East. However, injuries and underperformance hindered many of those new additions and the Bucks finished the season with a disappointing 15-67 record – the worst record in the league. Neal and Butler finished the season in a different city, Pachulia could only manage 53 games and Mayo struggled through one the worst seasons of his career – finishing with career-lows in minutes, field goal percentage and rebounds, and the second-worst three-point percentage, assists and points per game production of his career. Meanwhile, after signing a four-year, $44 million contract extension in the offseason, centre Larry Sanders struggled both on and off the court. After a breakout season in 2012-13 that saw him average 9.8 points (50.6% FG), 9.5 rebounds and 2.8 blocks per game, Sanders regressed to a disappointing 7.7 points (46.9% shooting), 7.2 rebounds and 1.7 blocks a night through just 23 games. The Bucks finished the season 28th for points per game (95.5), 25th for points allowed (103.7) and dead last in defensive rating (111.8). 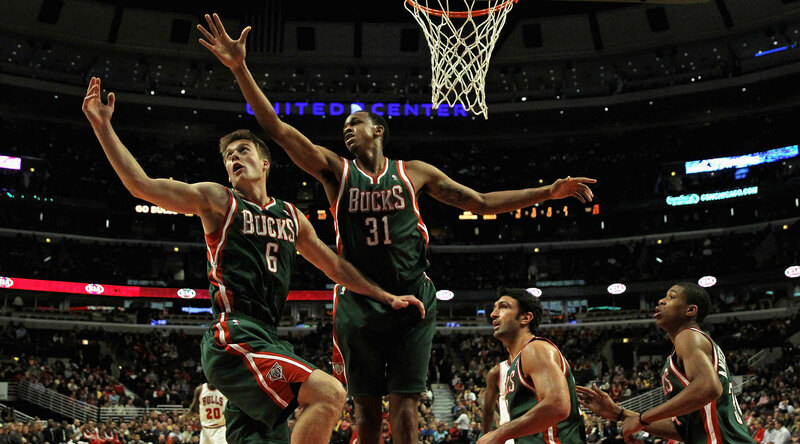 Overall, it was a forgettable season for the Bucks, who finished with the eighth seed in the East only a season ago. 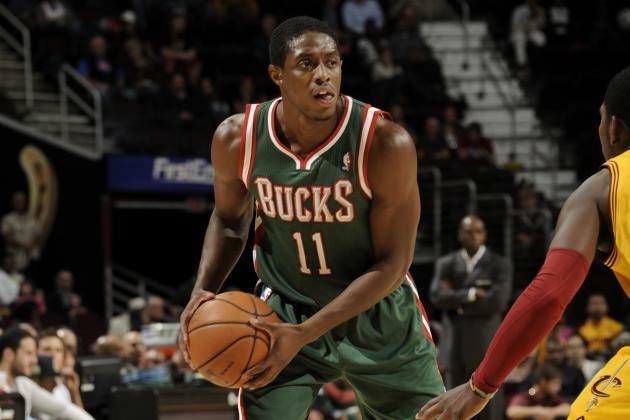 Milwaukee lost Brandon Jennings to the Detroit Pistons in the offseason, but the damage of the blow was softened by the play of Brandon Knight – who they received via sign-and-trade for Jennings. In his first season as a Buck, Knight led Milwaukee in points (17.9), assists (4.9) and steals per game (1.0) – all career highs. Knight also set new career highs from the field (42.2%) and free throw line (80.2%). It still remains unclear how much Knight’s improvement was a product of playing for a bad team. He took nearly four more shots per game than his last season in Detroit, and his usage rate rose four per cent. 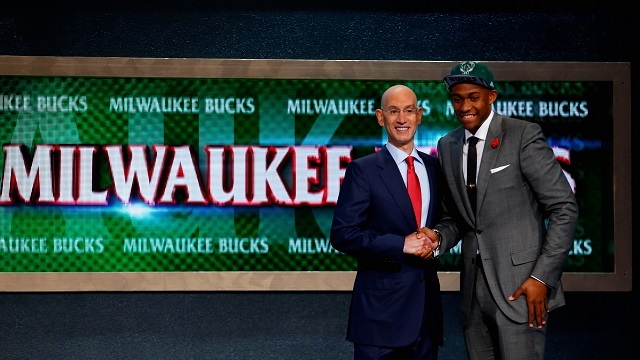 Regardless, Knight fought admirably for the struggling Bucks, showcasing the talents that saw him taken with the eighth overall pick just three years ago. He still has one more year left on his rookie deal, which will give the Bucks front office plenty more time to assess whether he is the point guard for the future in Wisconsin. Entering the season, Giannis Antetokounmpo was an unknown commodity. Having not played in the US before being drafted 15th overall by the Bucks, the only way to assess the Greek Freak’s potential was the footage of him decimating opponents in empty gyms in Greece. 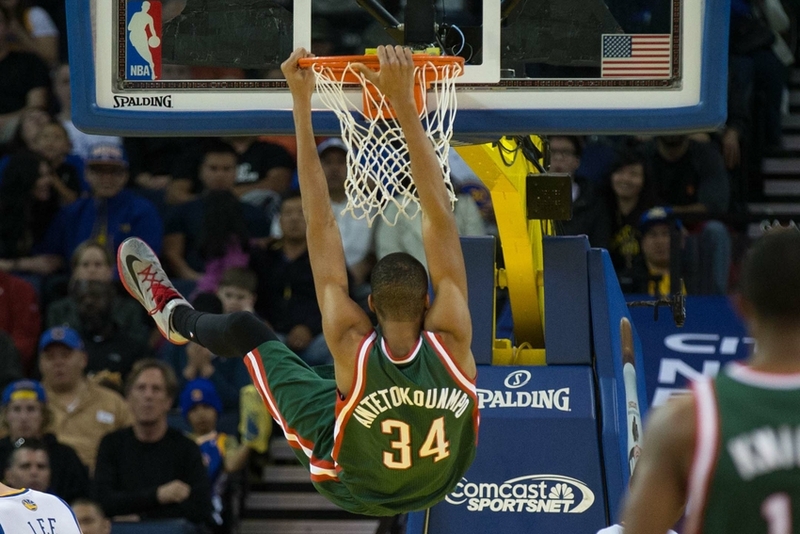 A year later and it is clear that Antetokounmpo is one of the most fascinating prospects in the league. He finished his rookie season averaging a modest 6.8 points, 4.4 rebounds, 1.9 assists, 0.8 steals and 0.8 blocks per game, but whenever he received significant minutes Antetokounmpo flashed his undeniable potential as an all-around talent. In the 17 games he played between 30-39 minutes, Antetokounmpo averaged 10.6 points, 6.8 rebounds and 2.9 assists, while shooting 44.3 % from the floor and 30.3% from beyond the arc. It was a steep learning curve for the Greek Freak, but Bucks fans should be excited by the progress he made in his first season. His versatility and unique body type make him one of the players to watch over the next few seasons. Despite entering the Draft Lottery with the best odds to receive the No. 1 pick in the draft – a 25.0% chance – Milwaukee will have to settle for second overall after being leap frogged by the Cleveland Cavaliers. However, even then, in this year’s highly-touted draft class, the Bucks entered the draft in an excellent position to select a player who could make an immediate impact on their roster. With Cleveland taking Kansas freshman Andrew Wiggins first overall, Milwaukee jumped at the chance to selected Duke’s Jabari Parker, who averaged 19.1 points and 8.7 rebounds per game in his lone season with the Blue Devils. Parker has a NBA-ready offensive game, can play multiple forward positions and is somewhat of a homegrown product, spending his childhood in nearby Chicago. The Cavs might have taken the player with a higher ceiling, but Milwaukee was still able to add a potential game-changer to their young core. The most disappointing area of their season was the struggles of some of their veteran players. Meanwhile, their collection of young prospects all flashed their potential at some point during the season. The aforementioned Knight had a career season, while Antetokounmpo was one of the most exciting rookies of the season. At the same time, John Henson (11.1 points, 7.1 rebounds and 1.7 blocks per game) improved in his sophomore season, Khris Middleton (12.1 points, 3.8 rebounds, 2.1 assists and 1.0 steals) doubled his production in his second pro season, and rookie Nate Wolters (7.2 points and 3.2 assists) showed he has what it takes to be an effective backup point guard in the league. The Bucks have only $42.9 million and $35.4 million on committed salary over the next two seasons and own all of their first-round draft picks for the foreseeable future. After drafting Parker, the Bucks have their future wings sorted, so a run at a point guard like Kyle Lowry or a big body like Greg Monroe could be a possibility, but whether or not the Bucks can attract a big-name signature remains to be seen. It will take time, but the building blocks are definitely there for Milwaukee to take steps towards being competitive in the Eastern Conference again.